Goibibo is an online travel merchant to book domestic and international flights & hotels. Goibibo also provides holiday packages for National and International getaways. You can get your flight booking done at lowest fares possible on Goibibo. Avail Paypal Offer On Domestic Flight Bookings At Goibibo. Rs.500 Instant Discount on Booking value Rs.2000 - Rs.3,999. Rs.800 Instant Discount on Booking value Rs.4,000 - Rs.12,000. Rs.1,000 Instant Discount on Booking Value 12,000. Offer Can Be Availed Only Once Per PayPal User. Use Given Coupon Code. Just Visit The Offer Page To Know More. Goibibo offers Flat Rs. 1200 Cashback on Hotel Booking. Coupon valid only on payment by Visa Cards payment mode. Applicable for all users. Minimum order value Rs. 3000 to redeem the Coupon. Click on Get Code to and apply at checkout to redeem the Coupon. Enjoy the Coupon before expiry! Redeem this Coupon and get Flat Rs. 1500 OFF on FirstDomestic flight Bookings from Goibibo. This Coupon can't be applied on group bookings. This Coupon is applicable for new customers. Click on Get Code to unlock coupon and visit merchant. Hurry! Enjoy this offer soon, as it expires on 30 Jun 2017. Encash Flat Rs. 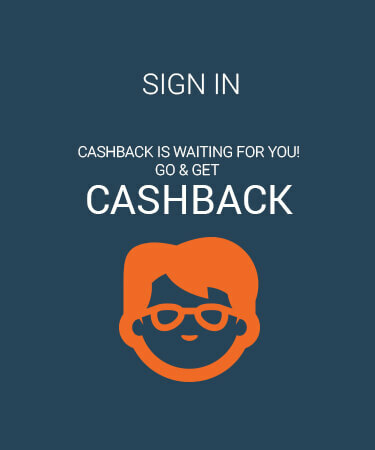 6000 goCash back on International flight booking. Make payment using Visa Cards at payment gateway to avail the benefit of the Coupon. This Coupon is valid for all users. Coupon valid till 16 Jun 2017. Get Get Rs. 3000 goCash on Domestic Flight Booking. Make payment using Visa Cards at payment gateway to avail the benefit of the Coupon. This Coupon is valid for all customers. Coupon valid till 16 Jun 2017. Get Flat Rs. 75 OFF on First Bus Booking. Coupon valid on minimum booking amount of Rs. 300. This Coupon is valid for new users. Min Booking Value Rs. 300 Required Redeem 2 Times Per User. Coupon valid till 16 Jun 2017. Step 2: Click on the offer that you want. This will take you to GoIbibo.com Website. 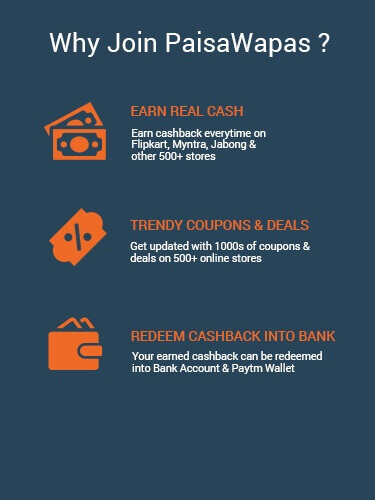 Step 3: Shop normally at GoIbibo.com . Pay as you normally do, including by Cash-on-delivery.